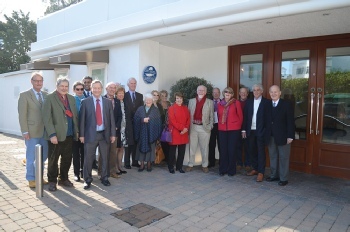 Welcome to the unveiling of a Blue Plaque for the lovely Harbour Heights Hotel, courtesy of John & Julian Butterworth, and colleagues of the FJB Hotels’ Group… not forgetting Dan Taylor who has now moved on to a post with British Airways. 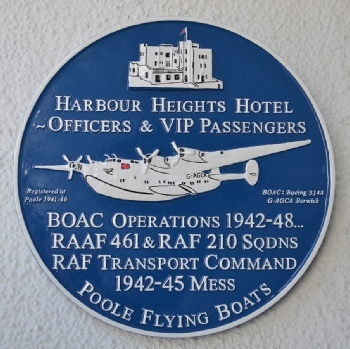 This Plaque is the 9th element in our Poole Flying Boat & Seaplane Harbour Trail, and this is a highly significant addition, for the many special people who enjoyed their stay however brief ~ and for Stewards who were trained there in Catering. 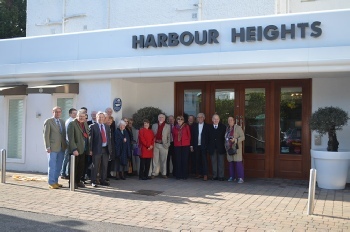 It was also a memorable landmark for many travellers who were beginning their journeys to the south, eastwards, and to the west with early morning departures, during ‘the dark days of WW2’, and in the postwar austerity era for Great Britain. 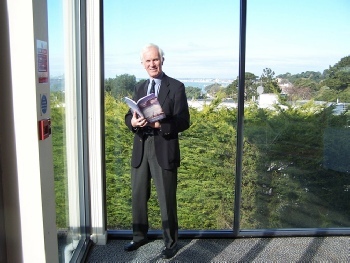 These included the senior holder of the Victoria Cross John Alexander Cruickshank who enjoyed the Mess facilities, and fleeting acquaintances with the various VIPs. More than 100 Flying Boats, both military and civil air were involved over the years, but a trio were especially synonymous with Harbour Heights - these were the giant US-built Boeings - Bristol, Bangor, and the favourite of Winston Churchill - Berwick! These were a vital Transatlantic link with Canada & the US… also connecting Africa, South America, the Windies and Bermuda… each clocking-up more than a million miles, until the final crossing from Poole to Baltimore in the US, exactly 70 years ago today. 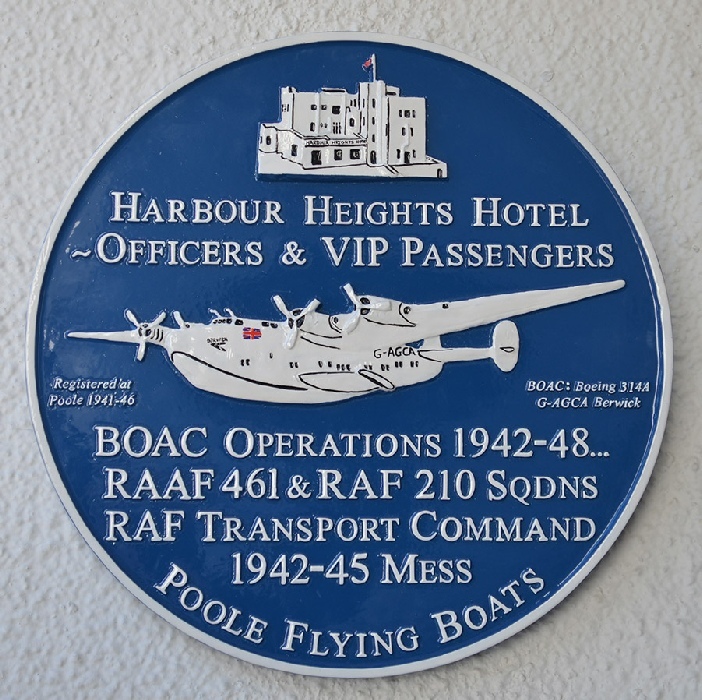 PFBC is currently researching a comprehensive list of all those on Poole’s Flying Boats who were at Harbour Heights, and earlier at the Haven Hotel including a Royal Party, this is important work to complete our Celebration of these highly significant venues!